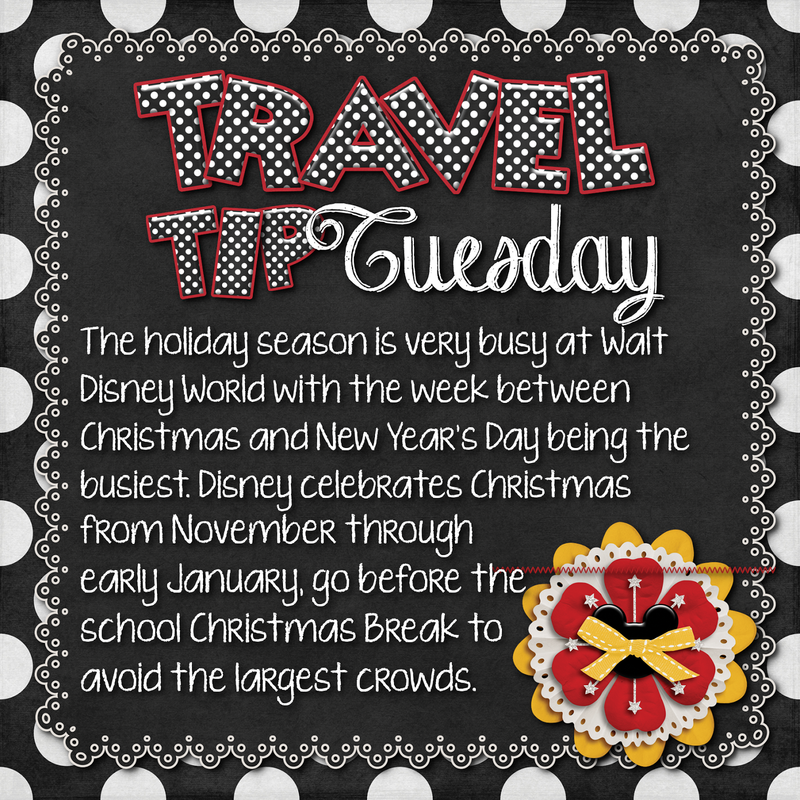 It's Tuesday so that means another great Disney Travel Tip, and since we are celebrating Christmas In July at Guru Travel it's a travel tip for visiting Disney during the Holidays. 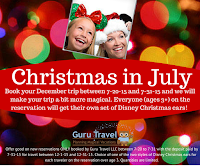 I mentioned that Guru Travel is celebrating Christmas in July and we have a special booking offer – book your DECEMBER 2015 Walt Disney World trip, pay your deposit by July 31, 2015 and we’ll give you some awesome Mickey Christmas ears! What a great way to commemorate your trip, but with a very special gift? Every person on the reservation, ages 3+ will receive their own set of ears! Quantities are limited, so connect with me, your Guru Travel Professional, today! 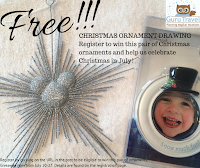 We also have a free giveaway. Make sure to share this with family and friends. Just sign up and you’ll be registered to win this cute pair of Christmas ornaments. The Mickey one is all sparkly and the second one is a great frame ornament to hang anyway. 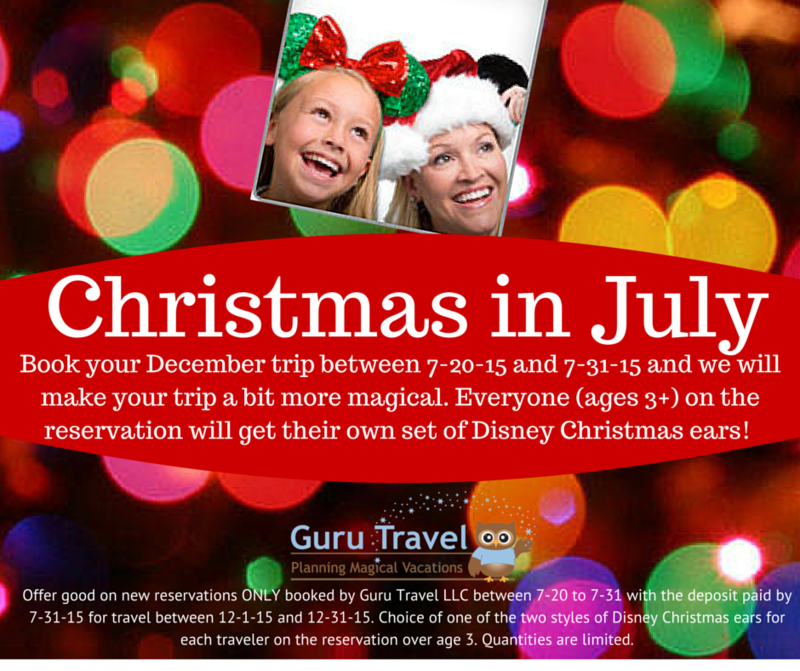 What a great way to add a little Disney magic to your holiday! 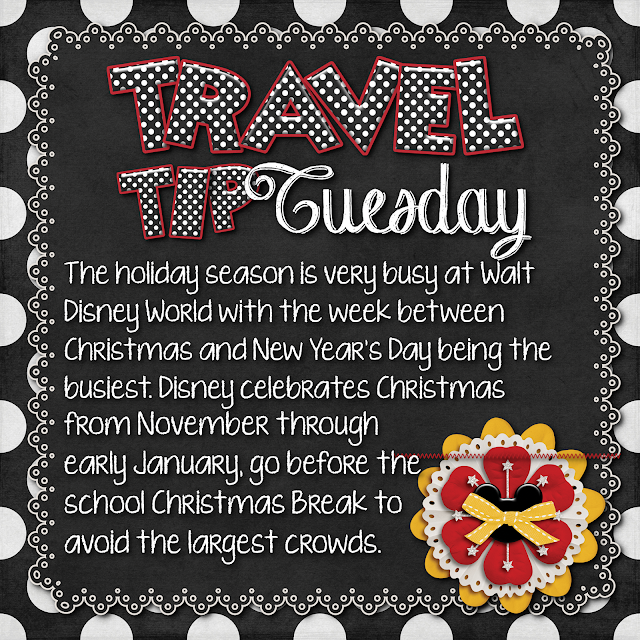 If you are thinking of planning a trip to Disney durning the Holiday Season I would love to help you plan your vacation. You can email me at donnakay@thewdwguru.com or call 877-825-6146 ext 706 for a quote today.